The 2018 Ford Raptor has been drawing looks since it arrived about eight years ago. It’s a thrill to drive and a thrill to sell for sales consultants like Sheldon Pyke of Friendly Ford. The new Raptor features a 3.5-liter V-6 high-output Ecoboost twin turbo with 450 horsepower and 510 foot-pounds of torque. With so many upgrades, the Raptor is one of the few vehicles with legitimate recreational off-road viability from the factory. It’s even conducive for performance racing off-road, while also providing a smooth ride on-road. Ford F-Series trucks have been the best-selling trucks for the past 42 years, and the Raptor took the product to yet another level. 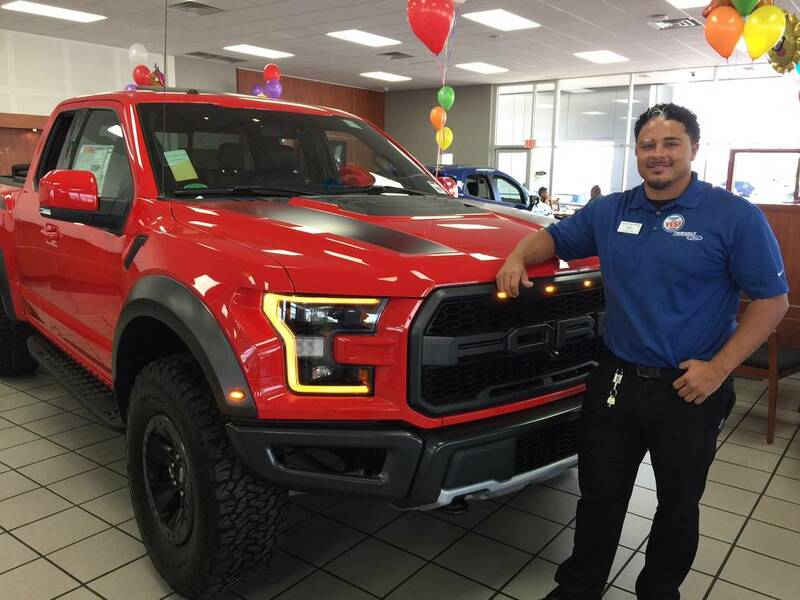 Among the many buyers of the Raptor at Friendly Ford are Las Vegans Ron and Marenda Mariano. “We bought our Raptor Feb. 3,” Ron Mariano said. “We took it to California a few times and since I’m in construction, I have taken it to a few job sites. We’re very happy with the vehicle and in fact, it’s the best truck out there. Located at 660 N. Decatur Blvd., Friendly Ford was opened in 1970. The dealership is an 18-time winner of the Ford President’s Award, Ford’s highest single honor for customer satisfaction. Further information can be found by calling 702-870-7221 or by visiting www.friendlyfordlv.com.